Looking for something to do with the extra pieces in your Trim the Tree Kit? 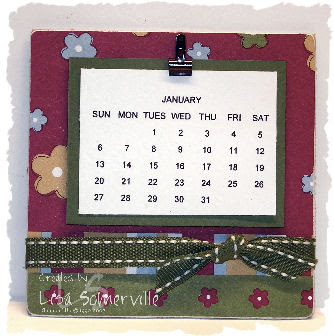 The square pieces will work wonderfully to create this chipboard magnetic calendar. Email me today to order your Trim the Tree Kit, so you can make these calendars with your leftover pieces. That calendar is adorable!!!! What a cute teachers gift! I love the calendar! Great job!